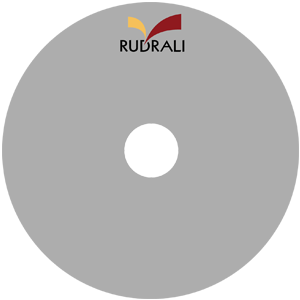 Rudrali Hi Tech Tools Pvt. Ltd. Leader in Diamond Tools Manufacturing. 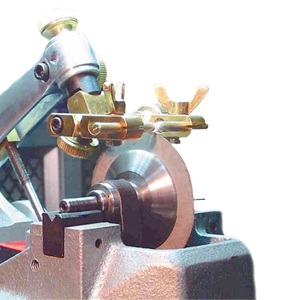 Offers innovative Technology in Diamond Sawing Blades. Rudrali Sawing Blades are extremely sturdy, enabling fast cutting, Mirror finish Sawing and lower weight loss. The Rudrali Diamond Sawing Blades custs the Diamond very fast and gives the mirror finish cut. It also minimizes the weight loss and increase production. With Rudrali Diamond Sawing Blades you minimize your weight loss because you can select lesser thickness of Rudrali Diamond Sawing Blades in comparison with conventional copper blade. Rudrali Diamond Sawing Blades are tuff and sturdy that is why thin blade can be used to cut big size diamond. It is observed that Rudrali Diamond Sawing Blades reduce wight loss in Sawing & in Polishing. After Sawing with Rudrali Diamond Sawing Blades you get the mirror polish surface on both the sides of the cut diamond. One of the main advantage after Sawing with Rudrali Diamond Sawing Blades, there are no lines on the Cut Diamond so you do not loss weight with Polishing the table and Save in Weight Loss. While sawing with Rudrali Diamond Sawing Blades there is a chipping at the corners of diamond that means smooth entry & smooth exit. Rudrali Diamond Sawing Blades cut very fast because the blade itself made of Diamond Posder. You save lot of time in comparison with copper blades. Sawing with Rudrali Diamond Sawing Blades increases the over all production and profitability. While cutting with Rudrali Diamond Sawing Blades you do not need to apply Diamond Powder on the Blade because the Blade itself made of Diamond Powder. What is the Correct Blade for Your Application? Objectively, it should be the blade which gives you the highest production rate and minimum weight loss. Blade selection will depend on actual condition. So select your blade from the table below. Experimentation with different blades could optimize your Sawing efficiency and weight loss.